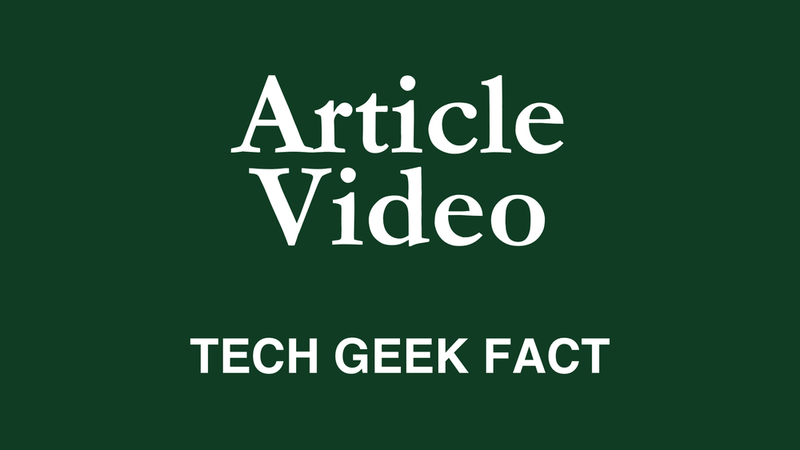 Tech Geek Fact launched Sept. 5, 2017, with two articles. Then it drifted. Today, TGF returns with the long run in mind. During the website’s somnolence, writing ideas piled up like a storm surge on the angry side of a hurricane. Indeed, a hurricane brought on TGF’s year of fallow. Five days after the site’s debut, Hurricane Irma plowed a furrow of wind, rain and tornadic tumult from the bottom of Florida to the top. As a result, 84 people died in the state. Irma entered Florida at Cudjoe Key on Sunday, Sept. 10, at 9 a.m. Its Category 4 intensity was one step below the maximum. Cudjoe is 18 miles east of Key West. The wind blew 130 mph. In 18 hours, the hurricane hammered its way 278 miles north, right over the home of Tech Geek Fact. On that Monday at 3 a.m., the storm’s intensity had lessened to Category 1. Nonetheless, its 80 mph wind made a mess of our small Central Florida city of Bushnell. The time between the Tuesday site launch and Irma’s Sunday-Monday steamroll was a lesson in life surprises. Most were bad, but some were good and a few comical. 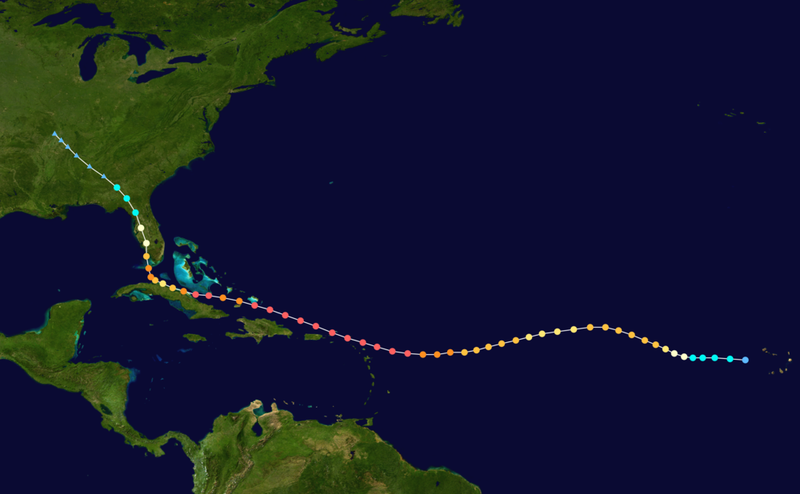 By Wednesday, the hurricane seemed strong, with a sure aim on Florida. Our family had intended to avoid the hurricane by driving out of state to a hotel beyond the storm’s path. I made a reservation that day at the closest hotel that could accommodate a wheelchair. Carol, my wife, has multiple sclerosis and is paralyzed from the waist down, as mentioned in TGF’s 10-year iPhone-anniversary article. Located in Jasper, Alabama, a bit northwest of Birmingham, the hotel would have been a 585-mile drive. The trip takes eight hours in good conditions. The traffic was anything but good. By this time, a substantial group of South Floridians was fleeing north, with Irma aimed at the southern tip of the state. Interstate 75 originates just outside Miami, crosses over to Florida’s west coast and stretches up through Michigan. It ends at the Canadian border. Along the way, it passes through our rural Central Florida city. Florida’s Turnpike, whose starting point is below Miami, angles diagonally up the Florida Peninsula to meet I-75, just 20 miles north of Bushnell. Rather than a gentle merger between the two superhighways, as usual, their conjunction during the hurricane rush served as a welcome station for a two-state parking lot. I-75 did not flow properly until it cleared Atlanta in North Georgia. When the expected drive to North Alabama tripled to 24 hours or more, with an uncertainty of gasoline supplies — some travelers ran out — we decided to stay home. At home, from hurricanes of the past, we knew we faced days of power outages, the possibility of dangerous tornadoes spawned by the hurricane and a long unspooling of uncertainty. Mihai (me-HI’), our son, knows the drill. In the midst of three hurricanes in a row in 2004, I bought a large supply of ¾-inch plywood. I cut it to size for each window and glass door, and used a large marker to label their locations. The two of us wrestled them into place. Before the hurricane week last year, I had no thoughts of ordering a thousand-dollar generator and paying Amazon to ship it overnight. Also needed were long, heavy-duty extension cords, three five-gallon gas cans to go along with two more already on hand, a pack of 100 AA batteries, batteries of other sizes, a four-pack of LED lanterns and much more. The orders resulted in a series of large, quick and expensive UPS deliveries. Local shopping included filling in our stash of canned and other unrefrigerated food, and fresh water. Saturday, we pulled out the wood and spent all day boarding the windows. Additionally, we brought in anything loose enough cause damage in the wind. I scaled our old-school TV-antenna tower — whose lattice makes a handy, built-in ladder — to carry up a load of hardware supplies to repair a bad roof section. With the wind increasing, but blowing from the north much of Sunday night and early Monday morning, Mihai and I watched outside on our southern-facing front porch. The strongest wind and rain hit us at about 2:45 a.m., just before the eye passed a few miles to the west at 3 a.m.
Mihai and Carol went to bed, but I stayed up until morning to survey the property and neighborhood. I spoke with a sheriff’s deputy who was driving by. He said a number of trees had fallen across roads, including at a heavily used railroad crossing. Driving was not safe, he said. Tree debris alongside our house was so thick that the sidewalk and road were carpeted deeply and indiscernibly. We never needed the generator. We were among the few in Bushnell with power. Many neighbors were not so lucky. Because of a map-drawing error decades ago, northernmost Bushnell residents — on our side of the neighborhood street — get power from a rural-electric cooperative. The rest of the city, including cellular towers, lost electricity from the municipal power company for 2½ days. Its out-of-state supplier was down because of damaged high-tension power lines. The disconnected mainlines affected many power companies and left much of Central Florida dark. Our situation was reversed in 2004. We went a day and a half without electricity. As such, we traveled out of the area for subsequent storms, until 2017’s hurricane-week traffic jam kept us home. We offered to loan the generator to our across-the-street neighbors, but they were set with ice chests and a gas grill. However, they made good use of the LED lanterns. Mihai and I started the new week by pulling down the boards and moving items back outdoors. He spent the rest of the week gathering small and medium branches, and Spanish moss. The hurricane’s wind ripped them from our many live oak trees. He broke in a newly bought, large-capacity wheelbarrow quickly. As now, Apple’s Sept. 12 iPhone event — Tuesday, last year, and Wednesday this year — was just days, then hours, away. I had a substantial list of articles planned. Hurricane preparation made the preview work impossible. Then, after the hurricane left, our internet service failed for the better part of a week. I knew the cell tower in the next city south along I-75 was working, because I could reach it from the southwestern portion of the house and the front yard. With that in mind, I drove down the interstate Tuesday, iPhone at the ready to download Apple’s video podcast, as well as others. I drove to a location with a five-dot signal, only to slap my forehead after realizing that the files were too large for cellular download. A nearby McDonald’s was closed for the night and had a limited menu posted on the door because it had no running water. It provided an internet connection, with which I downloaded the material. I learned the details of the product launch. However, writing and posting follow-up articles was impractical, given after-storm duties at home and lack of internet for my office. The rest of September and much of October rushed by in a similar manner until Carol became sick. I took her to the emergency room. The doctor admitted her to the cardiac wing because of extremely high blood pressure (usually on the low side of normal for her) and rising temperature from what was diagnosed as an infection. An aside: I record Carol’s vital signs in her iPhone Health app. I was able to show several of her doctors a year’s worth of blood pressure readings from her home-health nurse and local doctor’s office. The hospital doctors would take the phone and scroll through the readings I had pulled up under “Show All Recorded Data.” They said they appreciated having such an extensive record at hand. Carol’s condition deteriorated steadily, even as a strong antibiotic cleared the infection in five days. Eventually, she lost the ability to chew. Nurses fed Carol nutrition intravenously. A squad of doctors could not determine why her condition was getting worse rather than better. I provided phone numbers to a pair of hospital doctors for the two MS-specialist neurologists Carol sees — one in Atlanta and the other in Tampa. Each called one of the neurologists and received the same answer, independently. Because of the interaction between Carol’s advanced MS and the infection, she simply needed more time to recover, her neurologists said. The hospital’s course of treatment was correct and should be continued. Sure enough, Carol turned for the better and was able to come home after 15 days in the hospital. However, three days later, she had to return for five days more in the hospital. We remain busy as Carol exercises to regain strength. A physical therapist comes to the house twice a week still. I provide a portion of her personal care and have been trained for certain nursing tasks. A nurse comes to see Carol every other week. Since hospitalization, she has seen her long list of doctors at twice the normal frequency. The schedule has been busy but worthwhile. Carol is doing much better and continues to improve, despite two more infections this year that required me to help coordinate prompt medical tests and to administer antibiotic injections. We found time to clean up my childhood home. We did what we could to take care of hurricane damage there. Thankfully, it was limited to a fallen tree, broken branches from other trees and roof damage. Carol and I decided to sell the house, located in St. Pete Beach, Florida. That added months of additional duties and a number of 180-mile round trips, but saved work for the future. It also provided funds for a planned renovation in Bushnell to better accommodate Carol’s need for wheelchair access at home. Each generation of power wheelchair has gotten bigger. With a clear family plan nailed down and Carol’s health gains, I started to put more time into Tech Geek Fact. I fleshed out the website’s foundation, which was bare-bones last September. 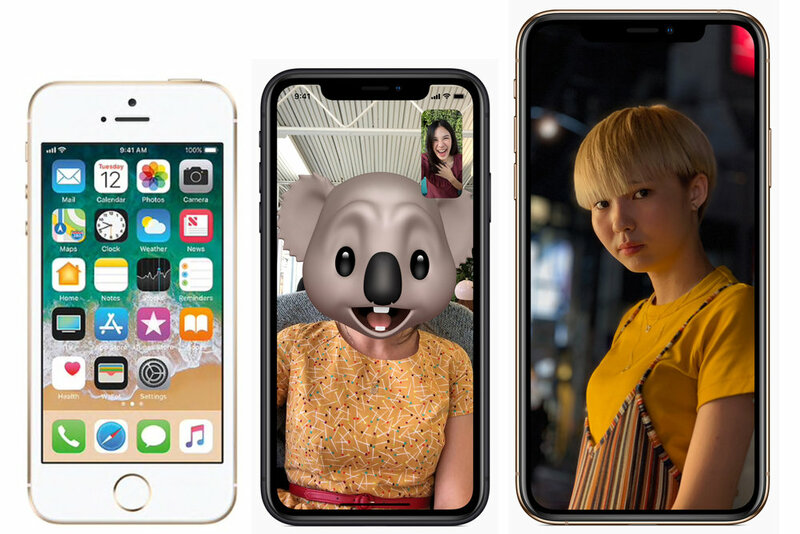 To the extent I can before the announcement, I will in squeeze commentary articles about the choices facing Apple as it develops and releases products this fall, next year and into the 2020s. 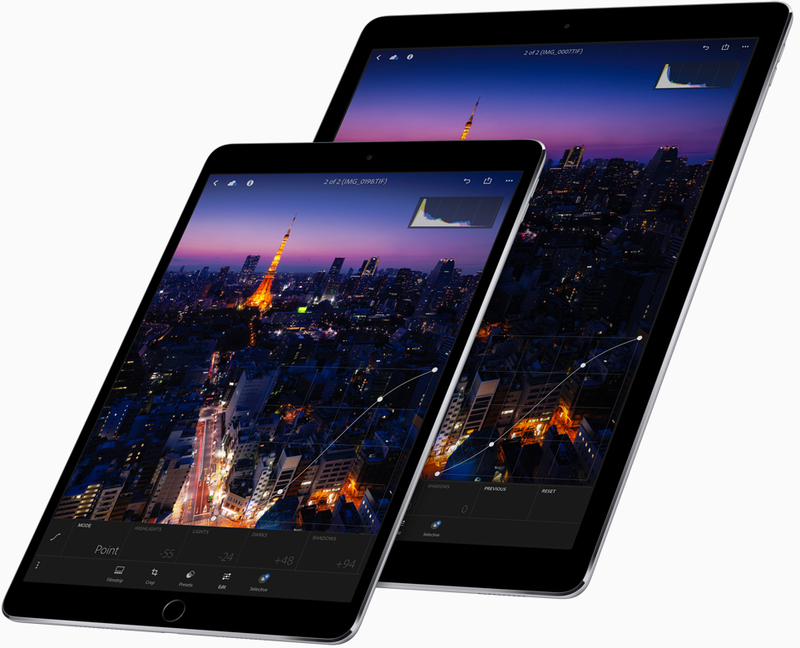 For years, I have been interested in writing about Apple and the many other companies that produce technological advancements. As time has gone along, whether I was editing and writing at the newspaper or since, I have kept a log of tech-writing ideas. After having too many good ideas slip away when interrupted or memory fades too fast, I follow a simple policy: If a writing idea arises, stop. Write down the idea immediately. Include supporting details. Some of the ideas are dated, some are evergreen and many are fresh. Plenty will be of interest. I hope the backlog will flood out. While the past 12 months have been trying here, I know that many others — especially those in Puerto Rico, the commonwealth largely destroyed by Hurricane Maria, and those on other Caribbean islands — dealt with incomparable difficulty. This September appears repetitious. Forecasters expect Hurricane Florence, whose wind is 130 mph, to hit the coastal Carolinas or Virginia early Friday morning. If the hurricane holds course and strength, the damage could be monumental. If such a powerful, population-aimed hurricane is not enough, the National Hurricane Center is tracking Hurricane Helene, Tropical Storm Isaac, and two disturbances in the greater Atlantic Ocean area as well. Best wishes to anyone affected. This is the first article on a new sort of website for technology enthusiasts. Tech Geek Fact’s focus will be smartphones, tablets, computers and the permutations between. The site will reach beyond these consumer-electronic bounds to other tech that affects today’s life as well as science that reveals technological paths to the future. TGF aims to put fact over the me-first race to break news first. Too often, that rush omits details and explanation. Tech Geek Fact will fact-check claims among those who comment and report on technology. Often, the site will include commentary about possibilities for tech developments, while stating clearly the foul lines between fact and speculation. Glenn Marston is the editor and writer. He is a lifelong technology enthusiast. Marston has been a newspaper managing editor twice, editorial page editor twice and assistant editor three times, and is an author. He holds a Bachelor of Arts in mass communications from the University of South Florida and a fact-checking certificate from Poynter News University.